Wine Fundraising – Sell Wine & Earn Money! Wine Fundraising, we make it easy. Your next fundraising efforts can be made more enjoyable and profitable, in selling wine. It’s a unique way to raise money instead of the typical chocolates and forgettable knick knacks. Fundraising for charity organisations, NFP's, schools and private fundraising efforts has never been easier. Setting up a wine fundraiser is easy - enquire today! Tired of fundraising with the same ol’ car washes, chocolates, and forgettable knick knacks that are invariably hard sells? Oak Room Wines is here for you. We believe that fundraising is about more than just making money - it’s about having fun while you’re doing it. And what is more fun than a personalised bottle of wine? Oak Room Wines is here to provide you with the opportunity of selling wine for a good cause, and making easy money. How easy, you ask? All you have to do is choose from our selection of over 80 quality red, white, or sparkling wines. Next, choose a standard of custom wine label design to make the wine not only stand out, but give your future donors something to remember (don’t forget to tell them about the versatility of the used wine bottle: candle holder, vase, etc..). 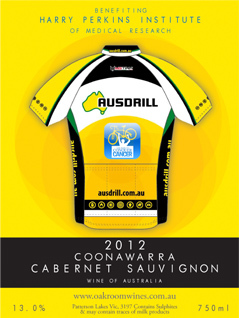 And our wine label customisation options will have your label really stand out! Not only can you create front and back labels for your bottles, but make your labels can stand out even more with gloss, matte, textured or even metallic paper. For that extra kick, create a custom die cut to any shape or size for your wine label design, and you’ll have a wine that people will not soon forget. Your main job is to begin selling the wines, to your neighbors, your family, friends, colleagues. Put up flyers on your office or neighborhood, use social media to get the word out. We do the rest: the ordering of wines, delivery of wines (to you or to the donors) and boom. You’re selling wine and raising money. How does it get any better than that? We’ll tell you how it can get better. Ask us to set up a tasting of our wines so you can choose the wine that best fits your fundraising needs. You will be surprised at how much more you will sell if you can actually describe the wine you’re selling. That’s it. Now get out there and raise some money! Hundreds Of happy wine fundraisers can't be wrong! Here is a quick glimpse at some of our recent success stories...Oak Room Wines have helped Schools, Ride to Conquer Cancer, The Weekend to End Women's Cancer plus dozens of other fantastic charities, organisations and personal fundraising events all over the country. With beautifully designed labels just for your event and delicious wine - how could you go wrong? 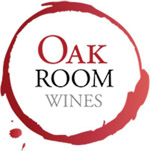 Wine fundraising With Oak Room Wines Earn $40 per dozen bottles sold! A successful fundraiser is more than just about making money: it’s about having fun, too! Add wine to the equation, and you’ve got barrels of fun in store for you. At Oak Room Wines, we will provide you with a personalised, easy, profitable, and memorable fundraising event. Just sit back, relax, and enjoy the fruits of our labor (literally!) as we’ll do all of the heavy work for you. We help you choose a select range of quality wines. - With a wide variety of whites, red, and sparkling wines, we’ll help you select the perfect range of 5-8 wines that pairs perfectly with your fundraiser, and also provides your customers with a wide selection so they can find something they like. We design and personalise a unique wine label for your fundraiser. - Your customers get more than just a bottle of wine, they get memorabilia of the fundraiser as well. Plus we take care of all of these things for you! - We provide you with the ordering forms to be filled out by each customer. - We also run your fundraiser through our website to help increase your sales so you can email friends and family and work mates the link and details of why you need their help! - We assist in collating the orders, processing the transactions with you. - We handle all shipping orders to your fundraising HQ for collection/dispatch. All we need from you, is for you and your team to promote your fundraiser. The more effort you put into it, the more you’ll get out of it. Which means more wine that you sell, and more money you make! Spread the word through social media, like Facebook, Twitter, LinkedIn & Instagram, are all easy avenues of promoting and sharing updates with your current and future contributors. Send e-mails to loved ones, put up flyers around your office or neighborhood. However you do it, get creative! But be sure to include information about your event: when forms are due, how their contribution helps your cause, etc. Keep them involved and informed; the more information about the cause, the more they can spread the word for you as well. Effort = reward. Ask us for a tasting of our wines for your fundraising committee. We have special prices for tasting purposes. After all, it’s much easier to sell the product if you’ve tried it yourself. You’re guaranteed higher sales when you can describe not just the wine - but the experience you had with it.